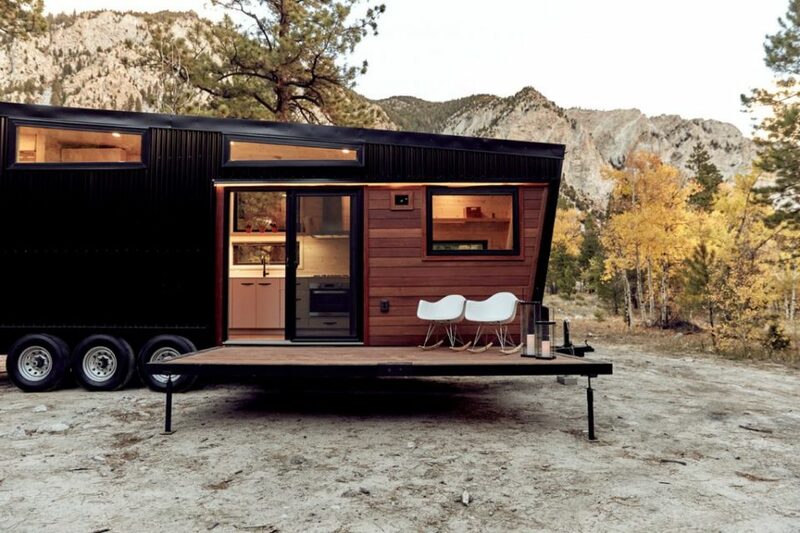 With its black facade, stylish roof slant and fold-down deck, the new ‘Draper’ RV by Land Ark is ready to cruise all over the country and look hot doing it. 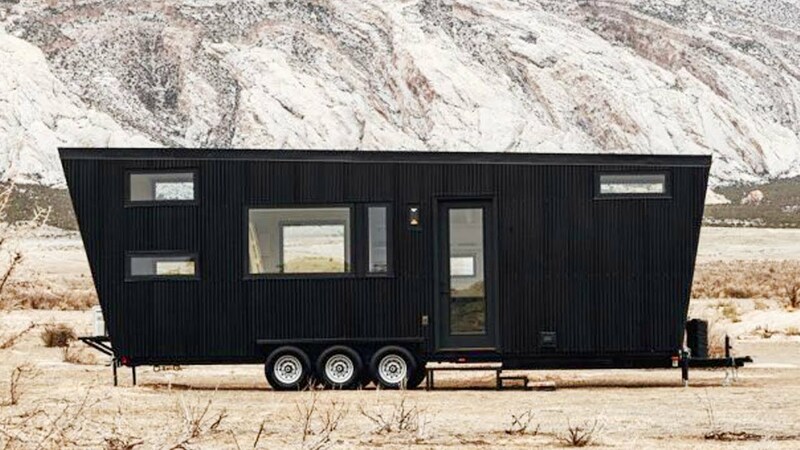 The lines between recreational vehicles and tiny houses continue to blur, and while the Draper is closer to the latter than the former, it runs on standard RV-style hookups, and it’s easy to imagine it sliding into an RV park to instantly make the rest of the residents look terribly uncool. But looks aren’t all the Draper has to offer. 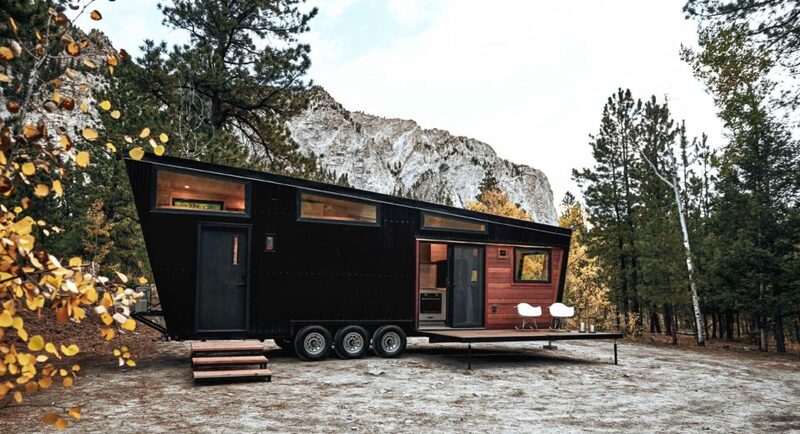 The 300-square-foot midcentury modern RV features a mud room entry with a 7-foot-wide wardrobe, a washer and dryer, recessed lighting, clerestory windows for lots of natural light while maintaining privacy, a full-size walk-in shower, a spacious galley kitchen, a lofted bed and a convertible U-sofa that transforms into a queen bed for guests. 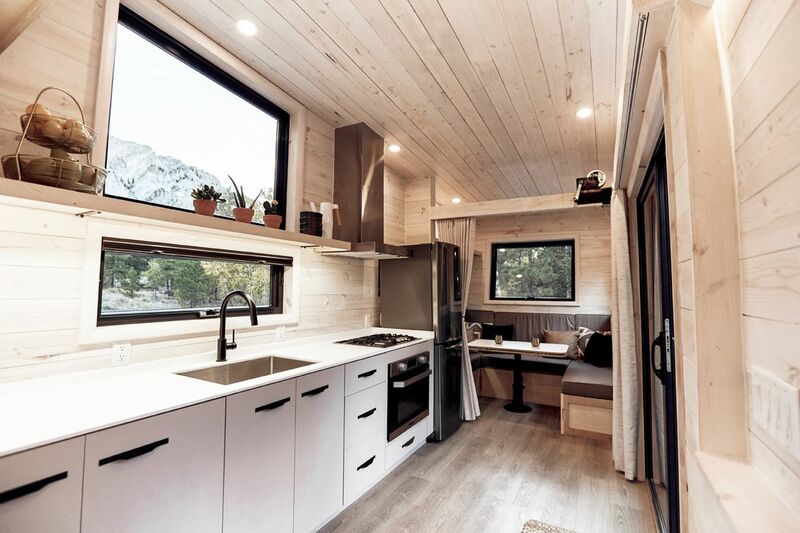 The interiors are sleek and streamlined, nearly every surface covered in pale whitewashed pine, and in stark contrast to the usual RV fittings, the Draper’s propane-powered stainless steel appliances rival those you’d find in an upscale home (albeit much smaller.) Sliding glass doors lead out to a fold-down deck that’s lowered and raised with a hand-operated winch. 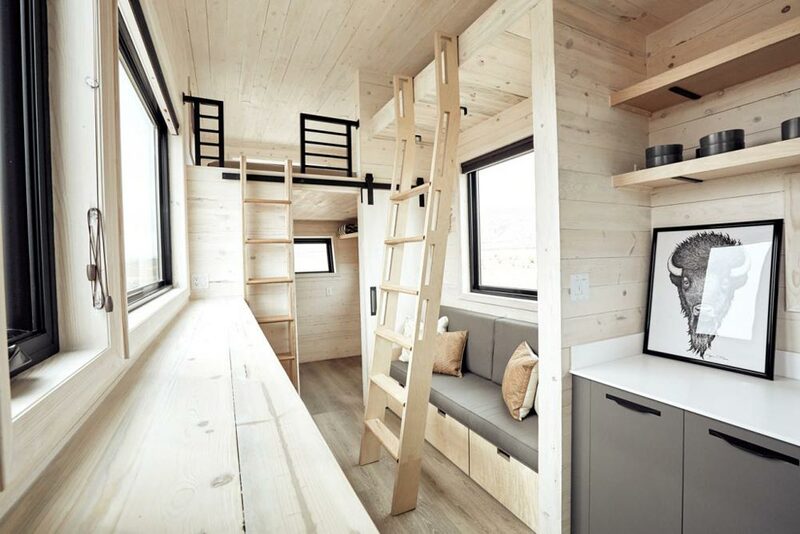 There’s more storage than it seems at first glance, including an area for shoes. 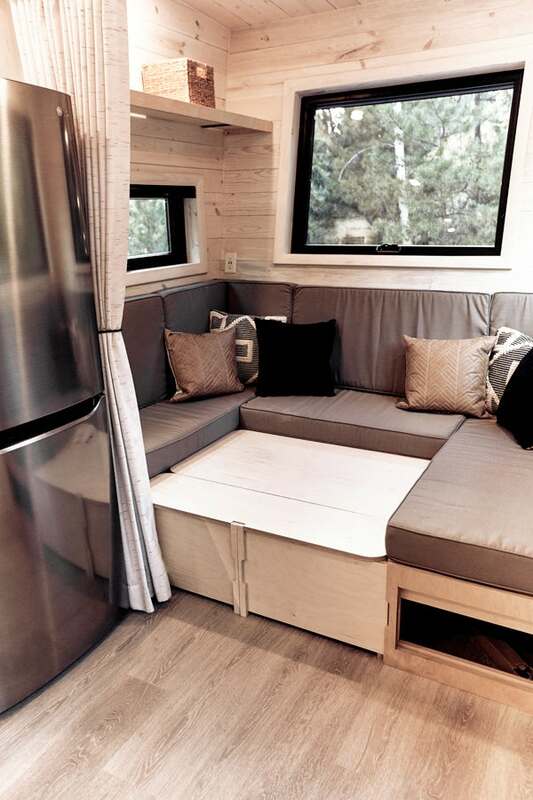 The Draper was designed to be most comfortable for individuals or couples, but if you like the look and need a tad more space, Land Ark’s ‘Drake’ model might be a better fit. 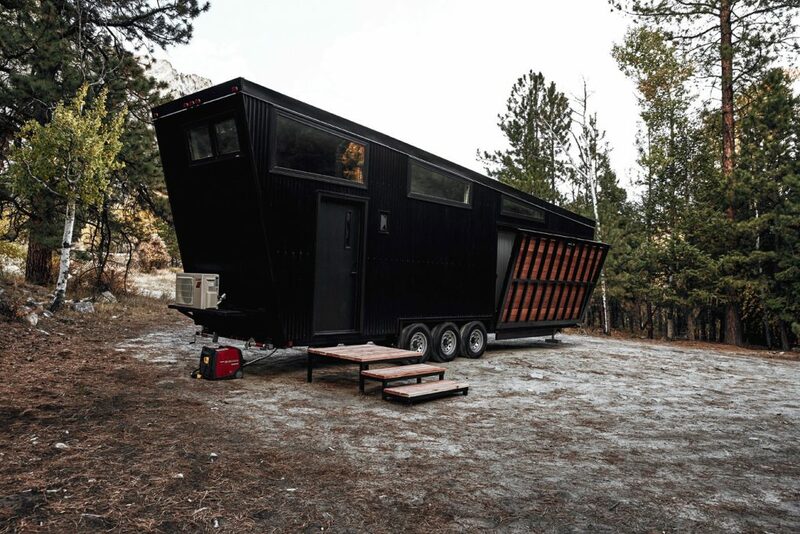 Measuring 357 square feet, the Drake sleeps up to six and has a similar look, though the sharp roof angle is sacrificed for more loft space. The Drake is listed at $139,000, while the Draper starts at $144,900.